UPDATED - Gaura Purnima: Tuesday, March 22, 2016 ~ The Toronto Hare Krishna Temple! One of the Toronto Hare Krishna Temple’s biggest festivals of the year, Gaura Purnima, falls on Tuesday, March 22, 2016. Celebrations will start early in the morning and continue into the evening where expect a huge turnout of devotees! 7:00pm to 7:15pm - "The Jarikanda Experience"
We feel the same way!!! vrindavan and brijdham is in full swing of HOLI.... I did not see any announcement. Hare Krishna Ayoush. 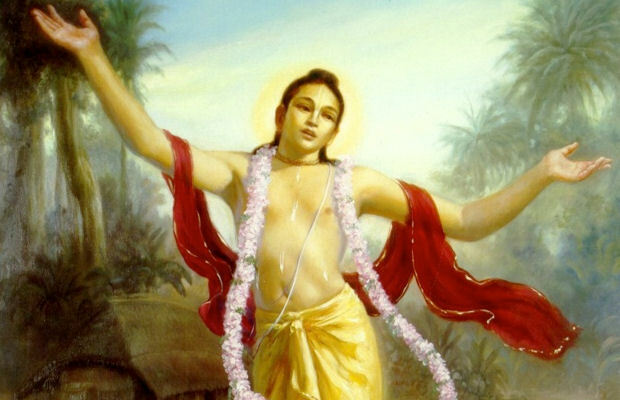 As Gaudiya-Vaisnavas (Hare Krishnas), one of our biggest dates on our calendar is the appearance date of Lord Chaitanya Mahaprabhu. This festival happens to fall at around the same time as Holi. So, at our temple, we have grand celebrations for Gaura Purnima and our focus. I hope this helps! Hare Krishna!